It's been a record setting week, with the warmest days on record for mid-March registered in Belgium. Hard to image that a year ago at this time we were sloshing through a foot of snow. 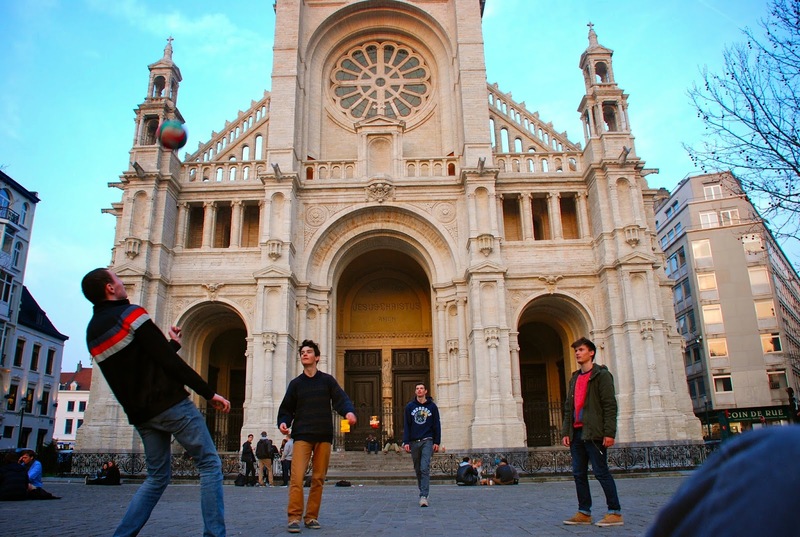 Yesterday (Friday) evening I came across a group of young guys juggling a soccer ball in front of the St. Catherine cathedral. They were cool enough to let me take some pictures and join in on their juggle circle for a bit. Yes, something's wrong with the world when you have to stay in Belgium for good weather!